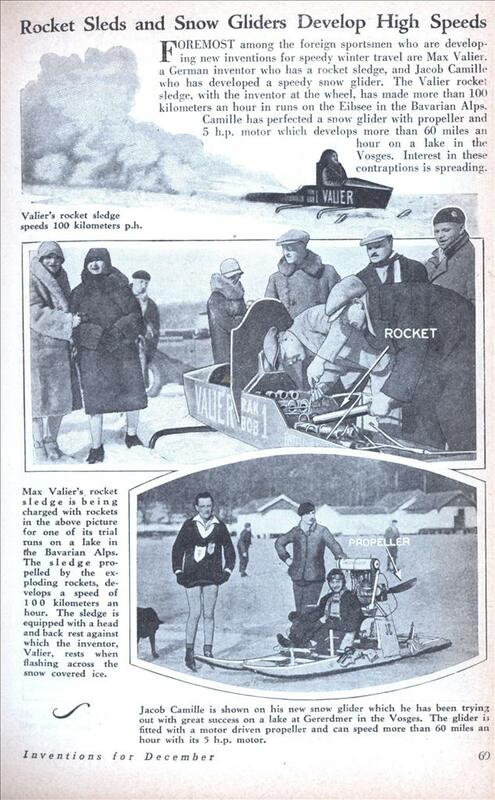 FOREMOST among the foreign sportsmen who are developing new inventions for speedy winter travel are Max Valier, a German inventor who has a rocket sledge, and Jacob Camille who has developed a speedy snow glider. The Valier rocket sledge, with the inventor at tlie wheel, has made more than 100 kilometers an hour in runs on the Eibsee in the Bavarian Alps. Camille has perfected a snow glider with propeller and 5 h.p. motor which develops more than 60 miles an hour on a lake in the Vosges. 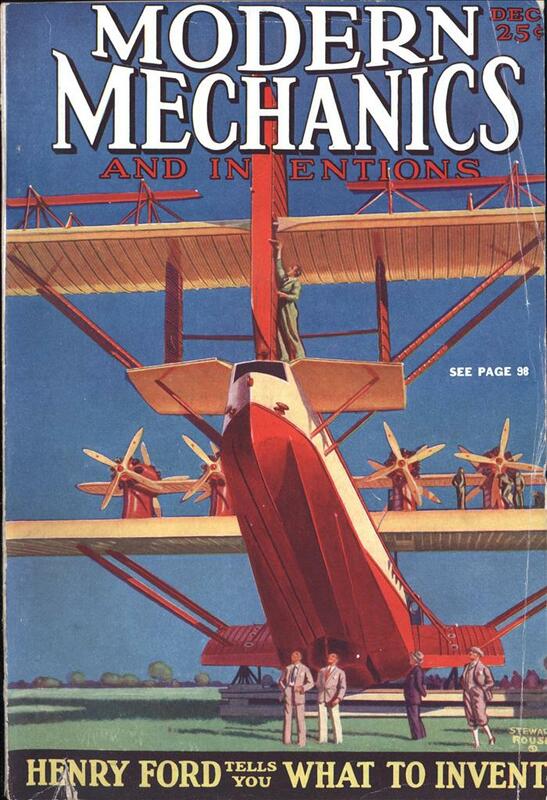 Interest in these contraptions is spreading.